James L Scott was born in Kincardineshire, Scotland and was brought up there and in London and trained as a baker. He came to the goldfields of Victoria, Australia in 1855 and from there to Cromwell in 1863. He took up gold mining and is reported to have been the first man to set up a “fluming” (elevated water race) across the Molyneux (Clutha) River. 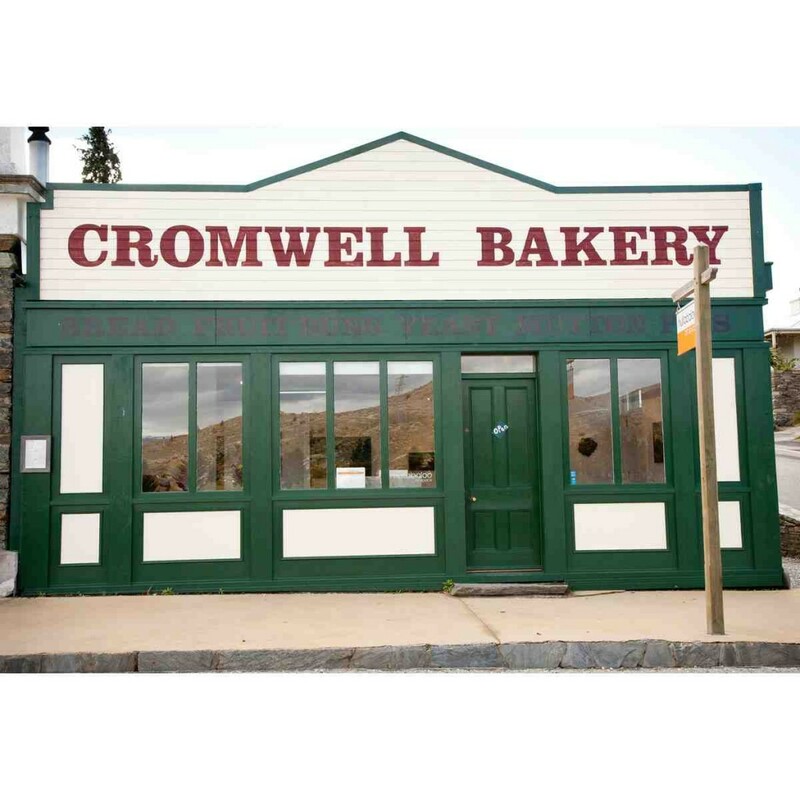 He continued mining until 1869 when he established the bakery at Cromwell. Scott’s Bakery was situated at the end of Melmore Street at the junction with Inniscort Street, a site now under the waters of Lake Dunstan. In an early streetscape of Cromwell the building is shown as being wooden with a peaked front and half round wooden pillars between the doors and windows. The remainder of the building was of stone work and was set back into the embankment. The bread ovens, built into the embankment at the back of the shop were made from bricks salvaged from the chimney of the Antimony Smelter at Bannockburn. This chimney originally stood forty feet high and was blown down in the big storm of 1883. The coal used to fire the ovens was delivered down a chute to a coal bunker also at the rear of the shop. In June 1880 Mr Scott exhibited in his shop window the first bread made from local wheat grown by Grant and McKellar on their farm at Mount Barker and “gristed” (ground) at the mill at Ophir. 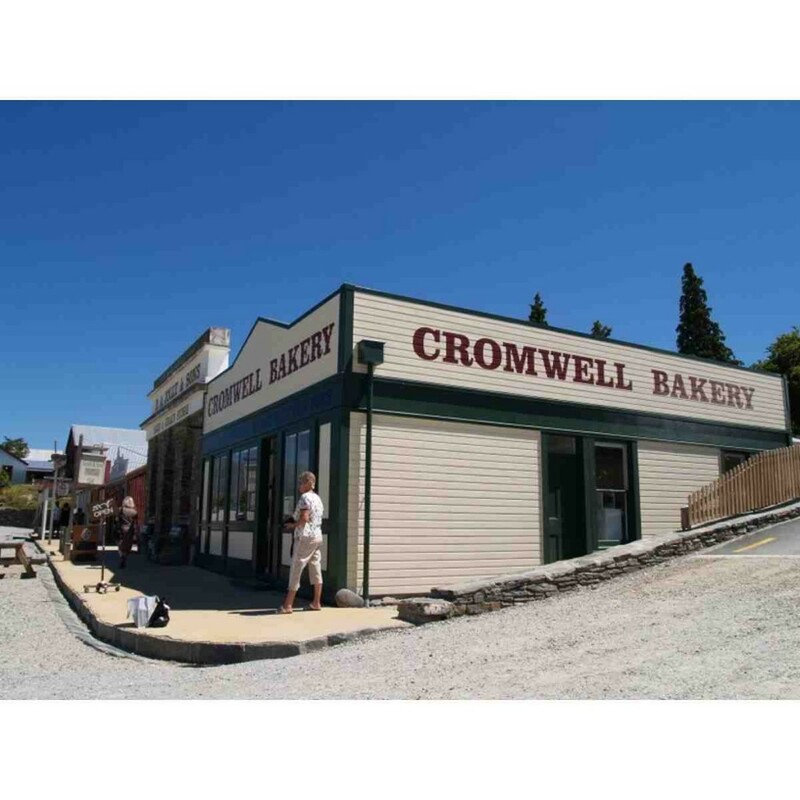 The bakery provided fresh bread daily for the townspeople of Cromwell, an essential item in the staple diet of the early days. In more recent years the building was remodeled, the wooden front and side replaced with brickwork and large windows installed. The building was used as the New Zealand Road and Rail Services bus depot until it was demolished for the flooding of Lake Dunstan. James L Scott was a generous man and it is said that he would not let a person starve. The Bakery remained in the family for many years and the tradition continued that if you ran out of bread after shop hours, a visit to the side door of the bakery would always see you with a steaming loaf to take home. James became an active member in the public affairs of the town and was influential in setting up the first Cromwell Hospital. He was Mayor in 1893 and 1895, served on Borough Council for thirty years and took a keen interest in the school and the Oddfellows’ Lodge (Masonic Lodge on the northern boundary of the Precinct). James was married in 1857 to Miss Warburton and they had 12 children, of whom six survived. James died in May 1917 at the age of 85. Scott’s Bakery is now the home of Hullabaloo Artspace.